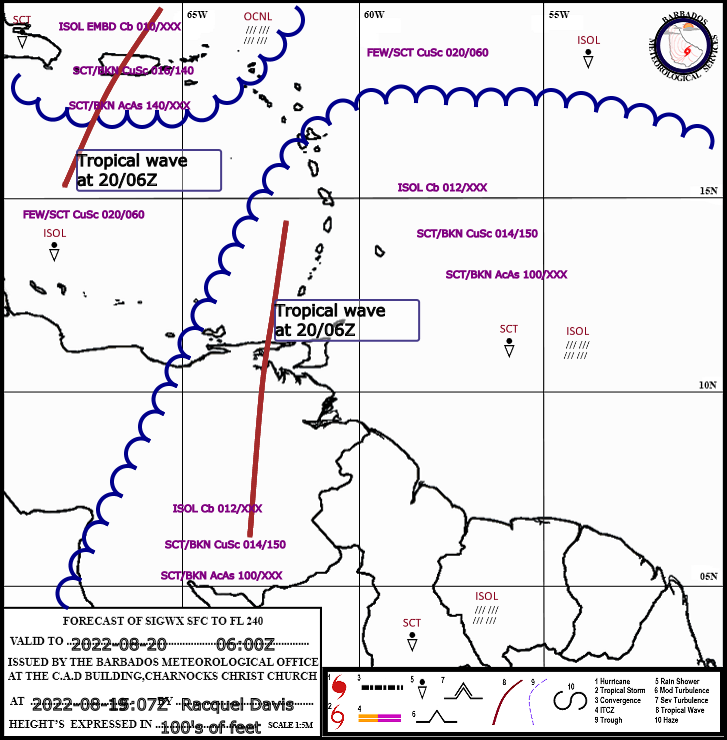 Tropical Weather Outlook | BarbadosWeather.org providing quality, reliable Barbados weather, news, forecasts and ocean information. Barbados Weather Forecast | BarbadosWeather.org providing quality, reliable Barbados weather, news, forecasts and ocean information. convection is within 240 nm either side of the ITCZ. weather is over the remainder of the Gulf. near 26N51W. A surface trough extends from the low to 20N55W. low mainly north 25N between 42W-50W. the northwestern waters Fri through Sat night.